Though we often view horses as the strong animals they are, we forget they are sensitive too and frequently are prone to suffering some leg-related injuries. This has to do with the fact their bodies are heavier as opposed to their legs and the light bones they are comprised of. As such, their legs go through a lot of stress when training which requires particular attention and precaution. Even if it’s not something as the worst case scenario of broken bones, a horse can suffer from a variety of injuries, be it with the ligaments or tendons, muscles or joints, so other than the basic hoof care, it’s important to prevent and treat any injury as soon as possible. A way to do this is by relying on the power of magnets and use magnetic horse boots. 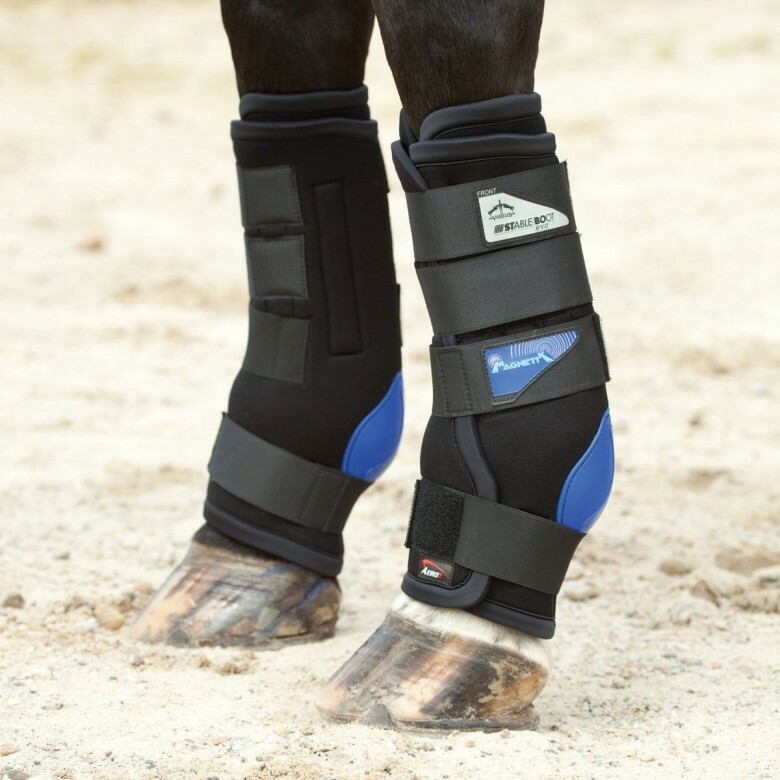 There is a variety of boots you’re going to come across, such as those designed for the hoofs, the magnetic fetlock, and those for the knees, which means you can base your purchase according to the type of injury that needs to be treated. Along with the magnetic horse boots there are even therapy rugs to cover up the horse, as well as massagers to comb through specific areas and treat them with this holistic remedy. They aren’t to be confused with electromagnetic products, however, because those are plugged into batteries. Though it’s considered alternative medicine nowadays, it’s certainly nothing new because people have relied on the power of magnets in healing for more than two millennia. One of the most famous women rulers in ancient times, Cleopatra, wore magnets on her forehead to preserve her youth. Beauty aside, when it comes to healing aches and pains, it’s based on how the body acts as an electromagnetic field when being treated with magnets that’s beneficial, since there’s metal in the blood – iron. When placed on the aching parts, the magnets draw fresh blood which is oxygenated and it promotes healing. When to Use Magnet Products? 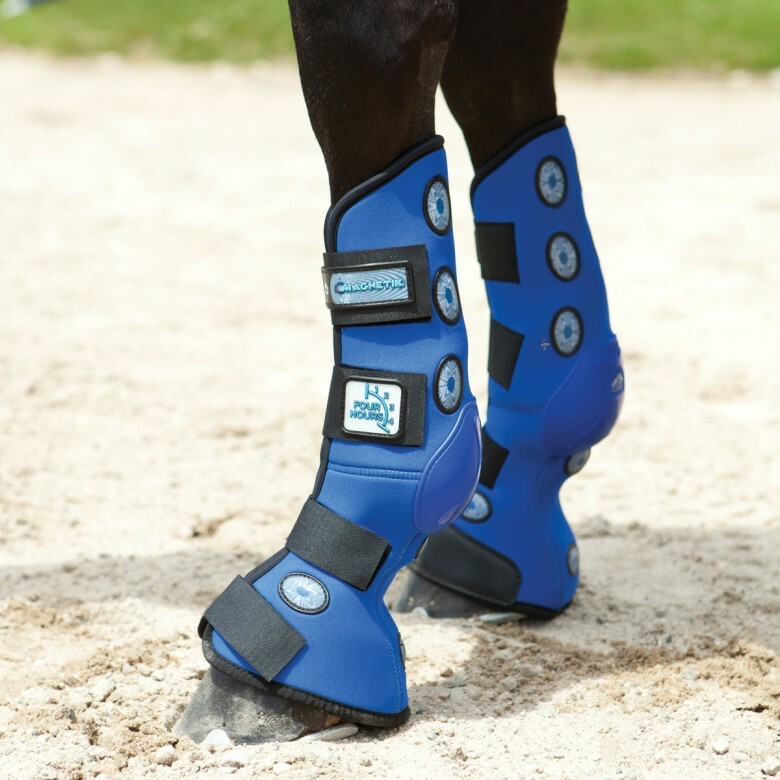 As mentioned, they are ideal for injuries, assisting with increasing the new cell growth, however you don’t have to wait for your horse to get injured or have a disorder, such as arthritis and rheumatism, to be able to use the healing powers of magnets. Two crucial periods when the equine magnetic products are useful is before and after training. Prior to exercises, the magnets come in handy with warming up muscles, ligaments, joints and tendons, which helps prevent strains, and after the exercises, when the horse has cooled off, they help reduce the training inflammation.